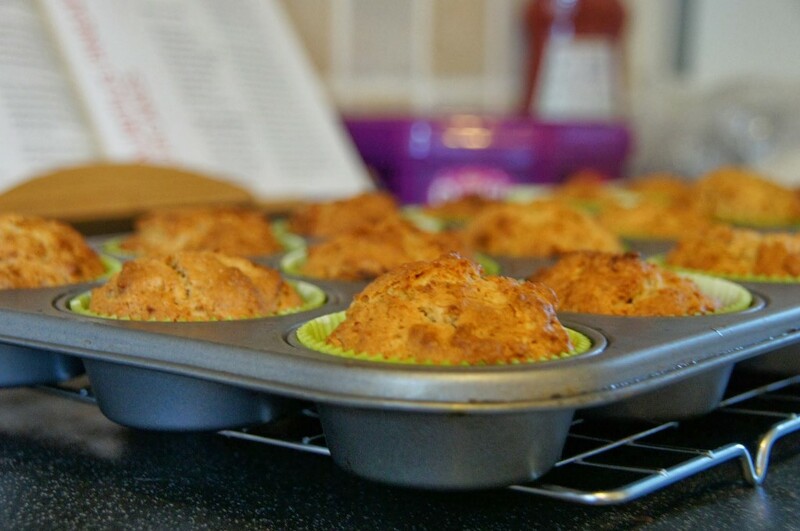 1) Preheat your oven to 200C/180C Fan/Gas 6 and line a cupcake tin with paper cases. 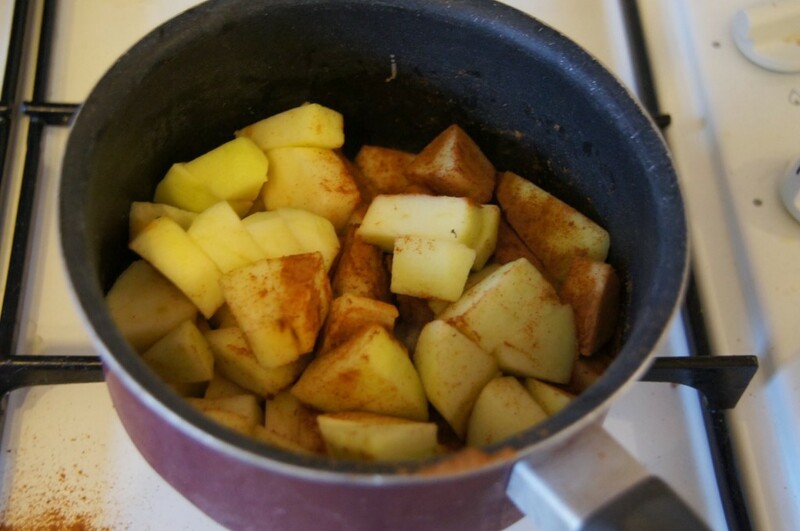 3) In a bowl, mix the bicarbonate of soda into the apples. 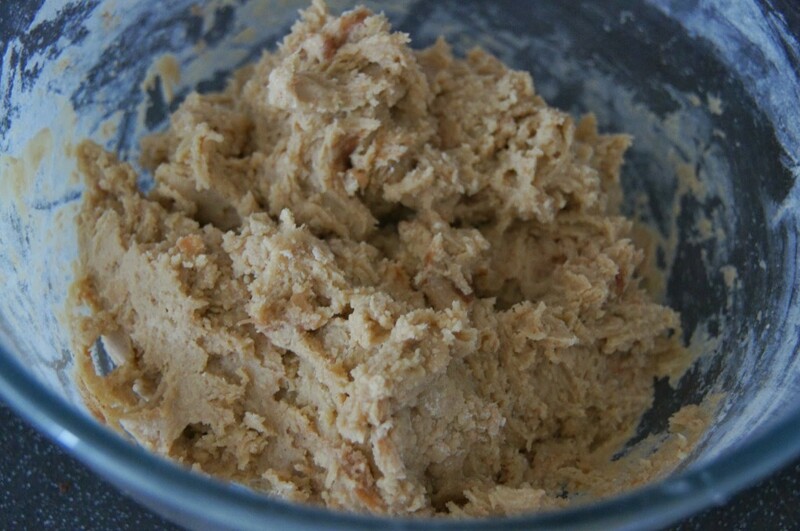 4) In a separate large bowl, cream the butter and sugar together. Once these are combined add the eggs. 6) Divide between the paper cases and bake for 20-25 minutes until the cupcakes are golden brown and a skewer inserted into the centre of a cupcake comes out clean (mine took 20 minutes.) Leave them to cool in the tins for 5 minutes before transferring to a wire rack to cool completely. 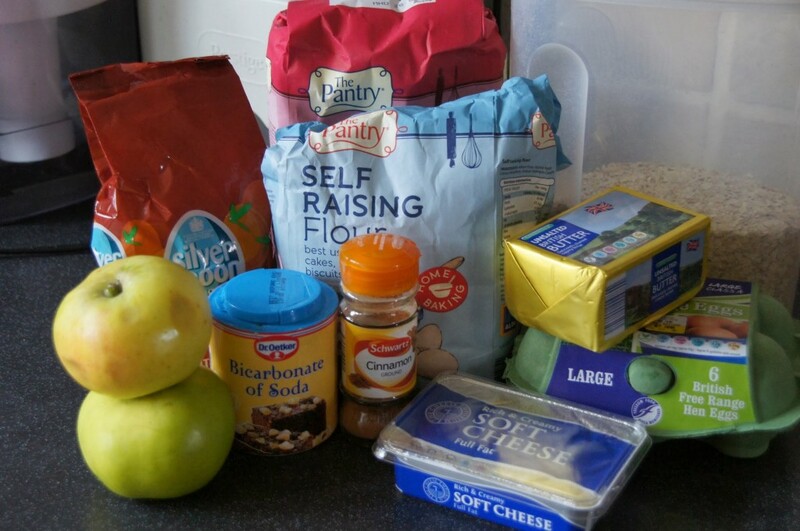 8) To make the crumble topping mix the flour, oats and cinnamon in a bowl. Then add the butter and rub in using your fingertips until all the ingredients come together in a crumble-like consistency. Then add the sugar making sure it is evenly mixed in. 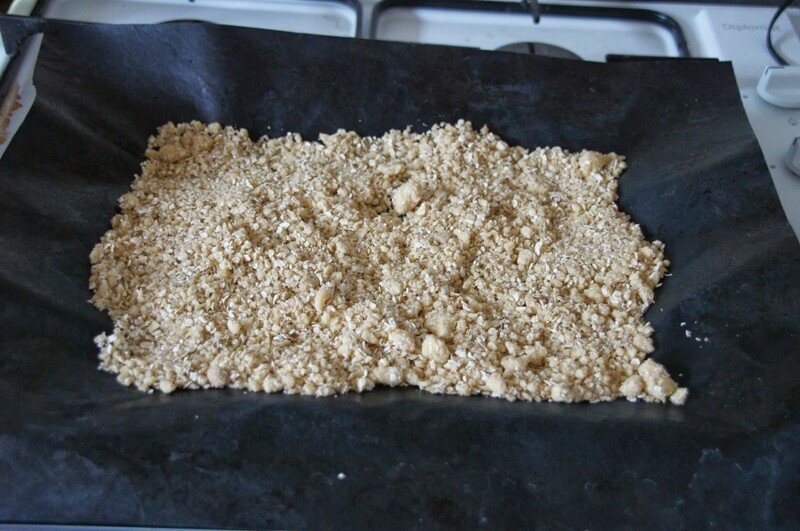 Spread the crumble mix on a paper-lined baking tray and bake in the oven for about 15 minutes until golden brown. You will need to gently stir the mixture to ensure it browns evenly (I checked mine every 5 minutes and found it needed about 20 minutes.) 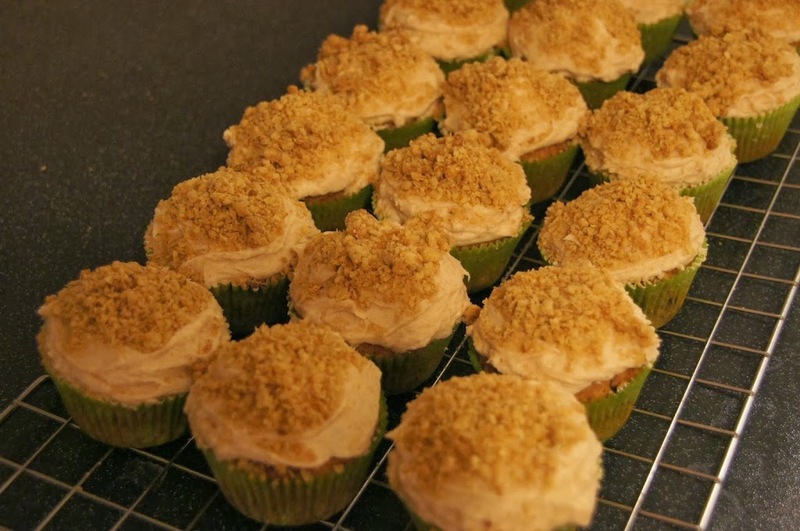 Once the crumbs are golden, remove from the oven and set aside to cool.